Four weeks have passed since this year’s Oscar contenders were announced. But the fact that the Best Animated Feature nominations neglected The Lego Movie, the most financially successful, critically praised American animated film of 2014, still irks some awards-season observers as much as it did on January 15, otherwise known as the Day The Piece Of Resistance Was Resisted. Why so much indignation? 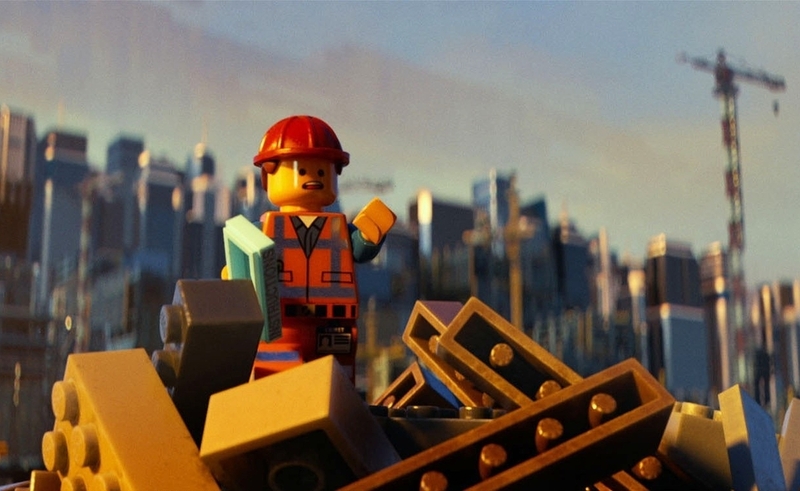 For starters, because before nomination day, The Lego Movie looked like a shoo-in for a Best Animated Feature win. People who planned to participate in their office Oscar pools this year had already mentally marked their ballots in that category, like, back in September. The idea that it might not be nominated didn’t seem to cross any minds. It wasn’t the only shock this year. Certainly the lack of nominations for Selma director Ava DuVernay and lead actor David Oyelowo—which also generated plenty of understandable outrage—are far more significant as indicators of Hollywood’s inability to overcome its racial and gender biases. But the decision to ignore The Lego Movie felt more genuinely surprising. I mean, we all knew Oscar voters sometimes make choices that at least seem racist and sexist. Now they’re minifig-ist, too? Really, though, the decision not to elect President Business shines a light on the central issue the Academy Awards has been trying and failing to resolve over the past six years: the Dark Knight problem. Back in 2009, when the second of Christopher Nolan’s Batman films—another high-grossing, widely praised piece of popular cinema—failed to earn a Best Picture nomination, the brouhaha prompted an increase in the number of nominees in that category. The idea, of course, was to widen the competition for the top movie prize, making room for both the usual highbrow Oscar fare and the exceptionally made mainstream films that actually get shown in cities other than New York and Los Angeles. As I noted in an Honorable Mentions column last year, that plan hasn’t worked as effectively as the Academy hoped. Even with an expanded Best Picture field, award-worthy popular works still often get overlooked. The Lego Movie is a prime example of how true that is; it not only didn’t it get a Best Picture nomination, it couldn’t even drum up enough support to score an invite to the animated-feature party. All kinds of theories might or might not explain the Lego Movie oversight: the members of the Academy’s Animated Feature Film Screening Committee, who were responsible for nominating in this category, may have preferred the hand-drawn artistry of the truly lovely Song Of The Sea over the stop-motion-esque, computer-generated animation of The Lego Movie. Or perhaps all the ballot-casters gave The Lego Movie lower scores—assuming, like everyone else in America, it had a nomination and win sewn up—and threw more love toward the little-seen Song and The Tale Of Princess Kaguya, both distributed by GKIDS, which has ushered previous deserving, lower-profile animated films like Ernest & Celestine, Chico & Rita, and A Cat In Paris to animated-feature Oscar nods. Whatever the reasons for the shunning of Emmet and Wyldstyle, what we’re left with is an animated field that actually does what the Best Picture race was supposed to do more consistently post-Dark Knight: split the difference between arthouse fare and box-office juggernauts that set high creative and artistic standards. In terms of the former, there’s Isao Takahata’s Kaguya and Tomm Moore’s Song. These lovely films from experienced overseas animators (and both, incidentally, with higher Metacritic ratings than Lego Movie) have been released on fewer than 75 screens combined. In terms of the latter, there’s Big Hero 6 and How To Train Your Dragon 2, the year’s biggest animated blockbusters after The Lego Movie, and each a sweeping coming-of-age story about the deep bond between a young man and his unconventional BFF. (In Big Hero 6, that would be Baymax, an adorable hybrid of the Stay-Puft Marshmallow Man and an Apple mobile device, and in HTTYD2, it’s Toothless, the equally adorable fire-breather introduced in the first Dragon feature.) And then, standing in the middle with a foot in each camp, there’s The Boxtrolls, the stop-motion Laika film that’s just odd (and Laika-ish) enough to feel arthouse-y, though it opened on almost as many screens as its competitors from Disney and DreamWorks. What’s going to win? It’s a wide-open question, since a convincing case could be made for most of these nominees. 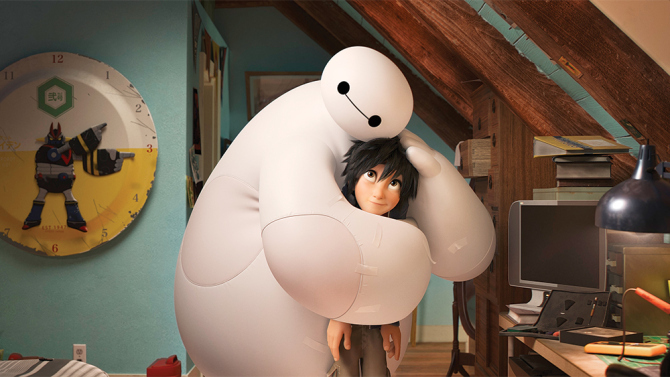 Past history suggests that a victory for Big Hero 6 is a strong possibility; four out of the previous five animated-feature winners were the top-grossing animated features among those nominated, a status Big Hero 6 shares. A robust box-office performance is often an advantage in the animated-feature race, because the higher-performing films are the ones the largest majority of voters have seen; in the scramble to decide how to vote in some of the higher-profile categories (director, picture, acting), Academy members may be more inclined to simply go with what they know in the animated world. In any event, a betting person would be wise to choose one of those two films simply because the Best Animated Feature category is practically the bizarro version of Best Picture: Here, the films most popular with the masses usually emerge victorious. Which is why The Boxtrolls, Laika’s third feature, and its third nomination in this category, can probably be counted out. And it’s also why the makers of Song Of The Sea and The Tale Of Princess Kaguya—the smaller films that likely benefitted most from the Lego Movie snub—will probably come away from the Dolby Theatre empty-handed, unless, for example, voters decide to reward Takahata, a longtime Hayao Miyazaki collaborator, as payback for not giving last year’s Oscar to Miyazaki’s probable swan song, The Wind Rises. But even if there isn’t a win for Takahata or Moore—the Irish filmmaker previously nominated in this category for The Secret Of Kells—the nods for their respective movies is a triumph in itself. While none of the previous Oscar-nominated animated works from GKIDS has ever broken the $1 million ceiling at the North American box office (Secret Of Kells made the most money, earning $676,775 during its domestic theatrical run, according to Box Office Mojo), David Jesteadt, director of distribution for GKIDS, says the Oscar attention provides a boost for his films they simply could not get without it. “It does have a big impact on the lifetime exposure of the film, of which for us, box office is far from the whole story,” he told me via e-mail this week. Jesteadt notes that the nominations lead to expanded theatrical bookings, more media attention, and longer-term, greater awareness of the films once they land on DVD, Blu-ray, and VOD. “The closer we can get the ancillary release to the nominations and awards ceremony, the better, when consumers have heightened awareness,” he says. Of course, if one of those smaller films were to actually win an Oscar one year, that heightened awareness would spike even further. Then who knows? 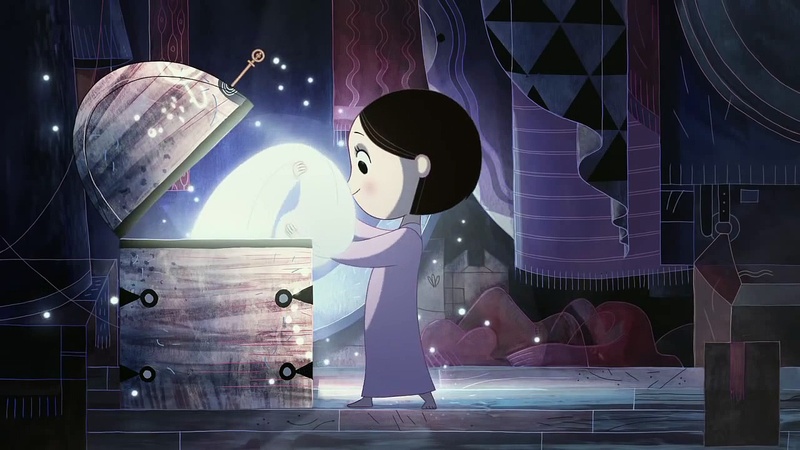 A film like Song Of The Sea, about a young girl’s magical, melodic gift, a film in which every meticulously rendered frame looks like it could have been torn from a beloved Caldecott Medal-winning picture book, might actually be released in a lot more theaters. That would be a great thing, not only for that film and its distributors, but also for moviegoers who, in most places in this country, don’t even have the opportunity to see it right now. Realistically, it doesn’t look like this will be the year for that kind of animated underdog upset. But if it were, it would represent a win for what The Lego Movie stands for, at least subtextually: a world in which big business (and big studios) don’t dominate every choice we make, and where the imagination of smaller people is rewarded as truly special.